Join us at The Local in Mt. Vernon for a fun night of painting! We will guide you step-by-step through the painting on this up-cycled wood board. We provide all supplies so just bring yourself and a friend! Plan to arrive early to enjoy a wine tasting of Glyn Mawr Winery wines and shop the main floor or stay after to enjoy their amazing lower level wine bar. Event address: 103 1st St. NW, Mt. Vernon, IA. Invite friends to register for this event! Enter in a Group Name and a list of email addresses. 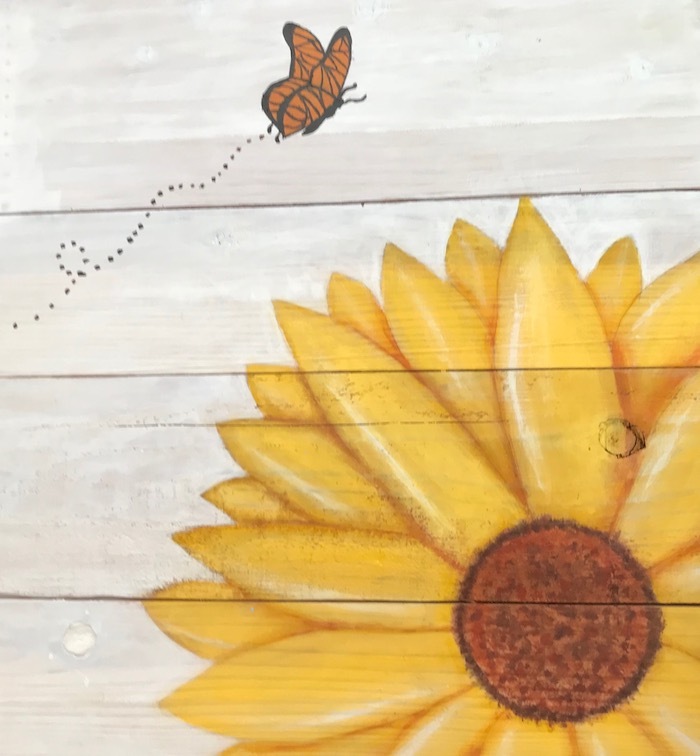 Upon your completed registration our website will automatically email everyone in your list with a link to register and pay for the event - Sunflower on Wood Board on 4/26/2019 at 6:00pm . When your friends register with this link, the Group Name field will already be autofilled with the chosen Group Name. This way we will know who should be seated together. Use this only to invite friends who still need to register and pay for their class. We hope this makes it easier for you to arrange an evening of fun with your friends!